There are many properties in cabbage that help fight cancer causing cells. The uniqueness of cabbage in cancer prevention is due to the three different types of nutrient richness found: antioxidant richness, anti-inflammatory richness, and in glucosinolates. Eat enough and it will speed up the metabolism of estrogen and thereby reduce the risk of breast cancer, a recent study in China showed that women who consumed more vegetables from the cruciferous family (cabbage, cauliflower, broccoli, etc) had a lower chance of suffering from breast cancer. Cabbage is a great diet choice for those who are looking for lose weight. Cabbage is very low in fat and calories. 100 g of leaves provide just 25 calories. That’s why people who are on the cabbage soup diet can eat endless amounts of the soup without gaining weight, while still staying healthy. Cabbages have anti-inflammatory properties and are therefore very good in giving relief to people who are suffering from inflammation. Cabbage is good source of the glutamine. Glutamine is a strong anti-inflammatory agent, so consuming cabbage can reduce the effects of many type of inflammation, irritation, allergies, joint pain, fever, and various skin disorders. You may be surprised to know that cabbage packs more vitamin C than oranges! Due to its high amount of Vitamin C, cabbage helps strengthen the Immune System and help the body fight against free radicals. Cabbage is a very good source of vitamin K, provides about 63% of RDA levels. Enough vitamin K in the diet makes your bone stronger, healthier and delays osteoporosis. 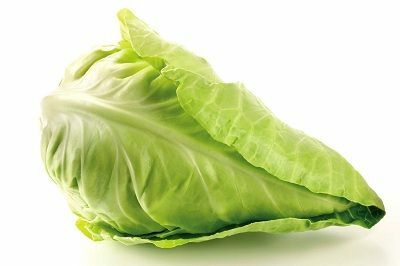 Especially for older people, their bone density was positively correlated with the vitamin K.
Cabbage is one of the best natural remedies for stomach ulcers (called peptic ulcers). Its juice has anti ulcer properties owing to its high content of glutamine. Since cabbage can interfere with the uptake of iodine, those with goiter conditions should consult their physician before eating cabbage. In addition, when cooking cabbages, it is imperative not to overcook them else you kill some of the vitamins in them. The best option is to eat the cabbage raw!